We are more than please to print your garments with your company logo or club crest. Cutting an image from a sheet of Transfast material using a plotter to produce this type of transfer. After the cutting has finished, we then remove all the parts of ink that aren’t required leaving the finished logo to be heat-applied to the garment. The image is designed on a computer using vectored artwork files. Don’t worry if you can’t supply us with your designs in these formats as our artwork team can produce these files from bitmap files such as jpegs at a very low cost. The system we use is resistant to ironing, can be dry-cleaned / and industrially washed. This system is great for free standing one and two colour designs and mainly for small orders. If you require larger quantities and more complex artwork designs including multiple colours please ask for details. 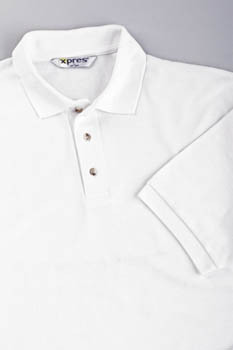 When your garments need that extra touch of quality, Embroidery is one of the best solutions available. Our in house digitising department enables us to convert your designs quickly and accurately for Embroidery onto a wide range of garments, including bags, caps, etc. If your order incorporates a specific design, there will be an origination charge, based on the number of stitches in your design. If your design consists of text only (in a standard font) there is no set up charge.